When the Inhumans build a prison, they not only make it escape proof, they also build it to last. 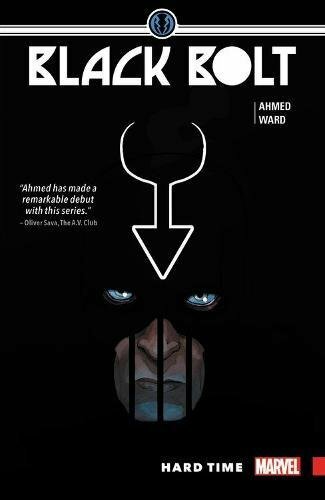 So when Black Bolt wakes to find himself locked, and made a prisoner, in the deepest, darkest secret that his ever people ever constructed, he has to piece together how and why he ended up there and attempt to do the impossible. Breakout of a gaol that has stood firm against every attempt to do so for centuries. Tortured, subjugated, stripped of his powers and pushed beyond the limits of inhuman endurance, the former King of the Kree descendants encounters his most fearsome foe, the warden of the building that he’s caged in. 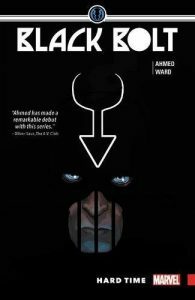 The ruler of the domain in which Black Bolt is trapped, is an all-powerful being who is so single-minded and focussed on his duties that none have ever faced him and lived to tell the tale He is the impassable wall that all roads in the prison lead to and the thing that ultimately stands between Black Bolt, his freedom and his way home. Abandoned, forgotten and left to die, his only chance of success lies in forging alliances with his fellow convicts, individuals who before he was incarcerated, he would never have even deigned to acknowledge, and mounting an all-out assault on the institution in which he’s imprisoned and its guardian. *Or, in this case, inhuman.